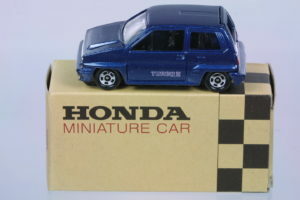 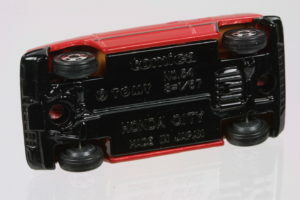 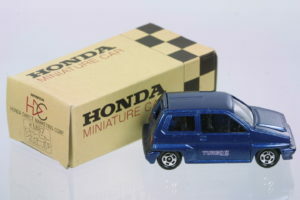 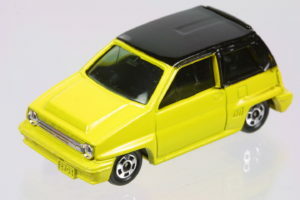 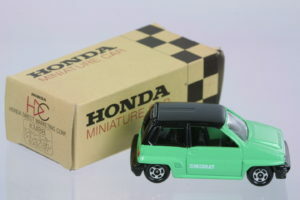 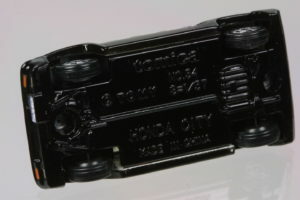 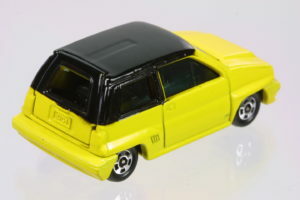 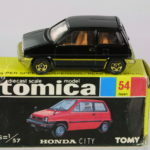 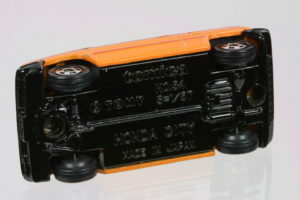 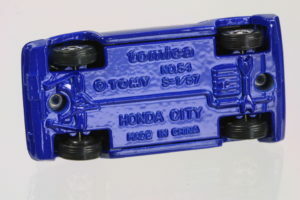 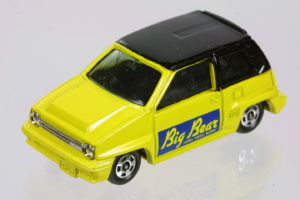 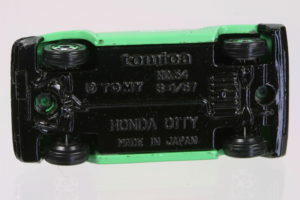 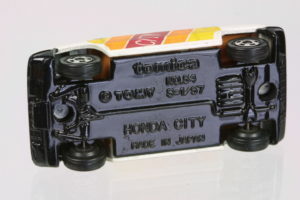 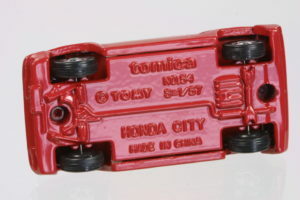 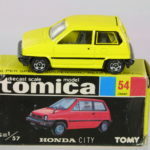 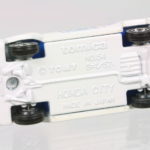 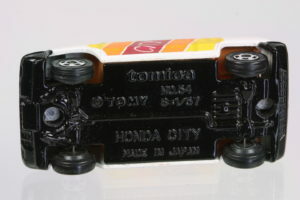 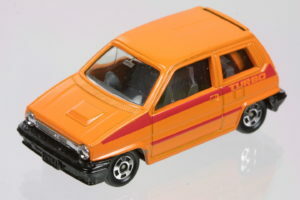 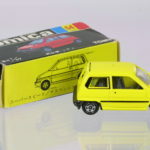 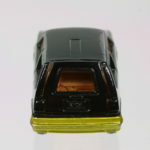 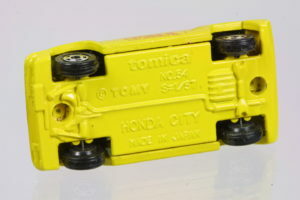 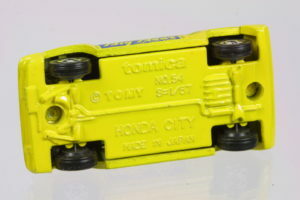 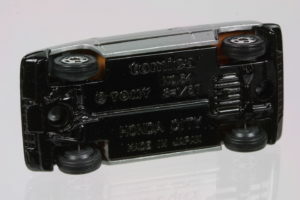 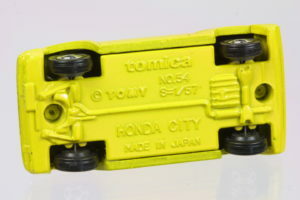 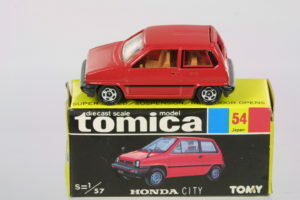 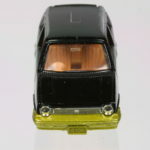 Tomica released the Honda City originally while they still had the yellow and black boxes under No.54. 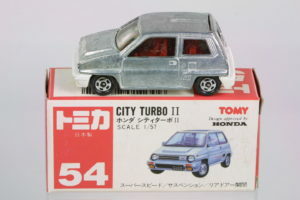 Later, the Honda City Turbo II was also released under the same number. 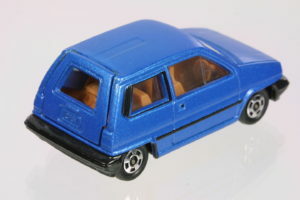 There have been numerous variations of this model. 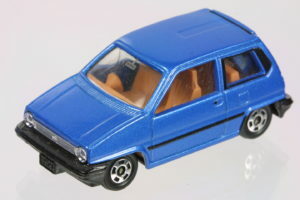 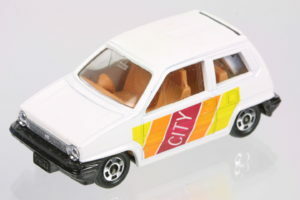 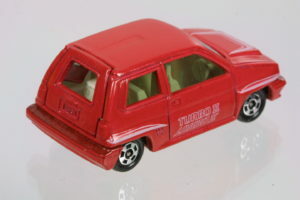 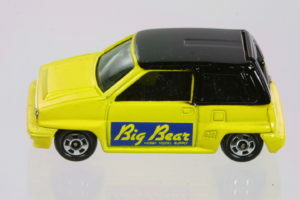 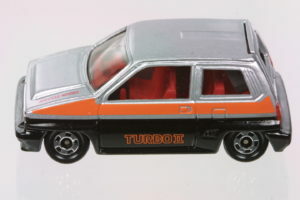 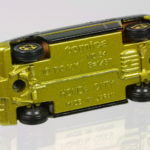 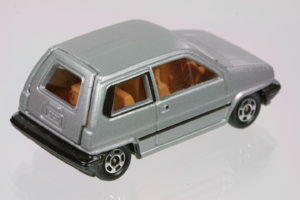 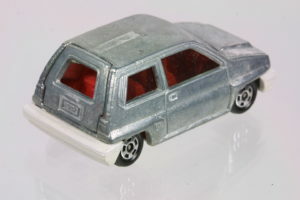 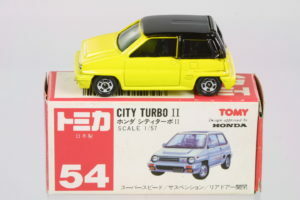 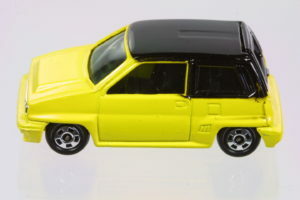 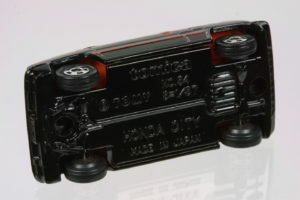 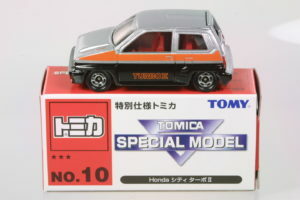 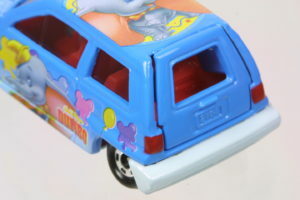 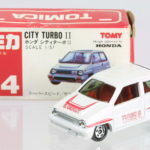 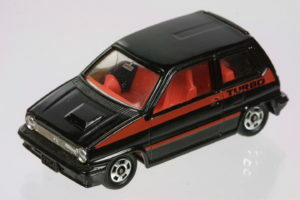 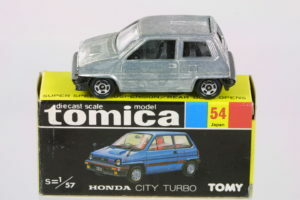 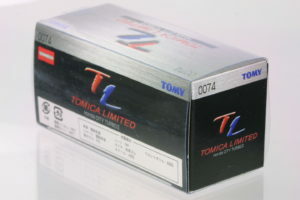 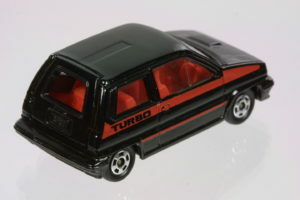 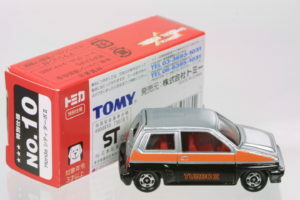 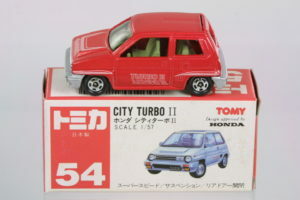 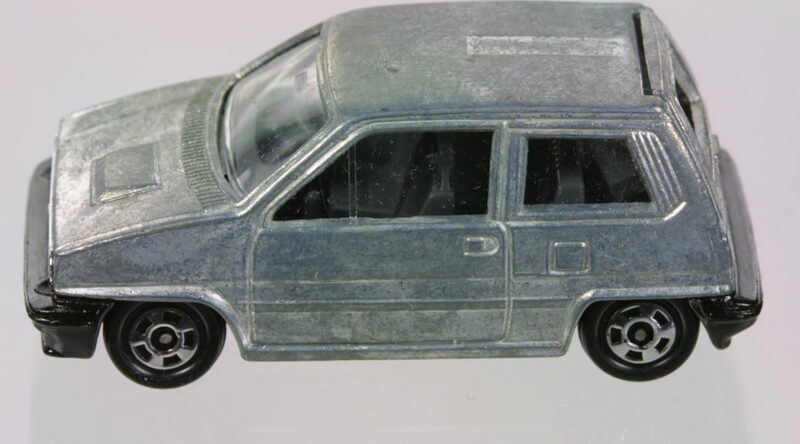 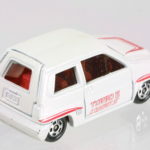 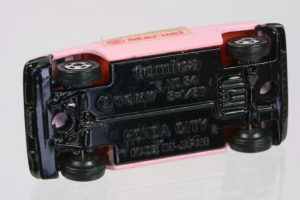 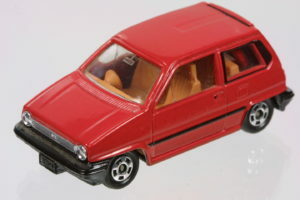 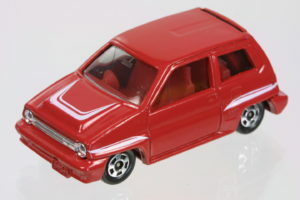 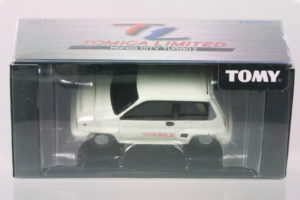 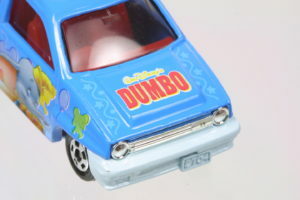 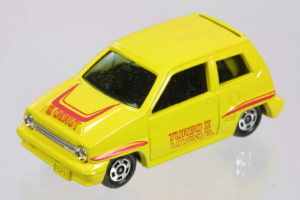 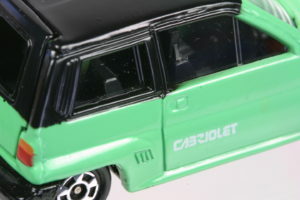 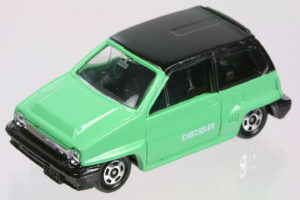 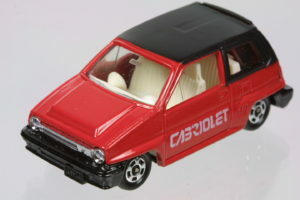 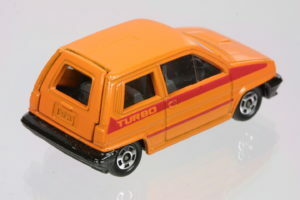 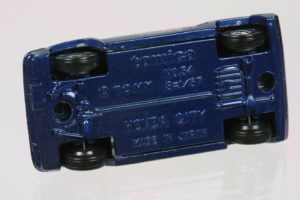 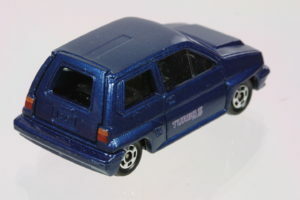 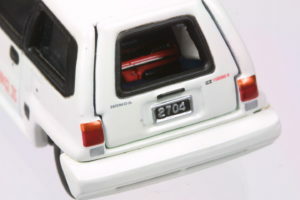 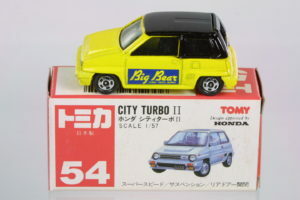 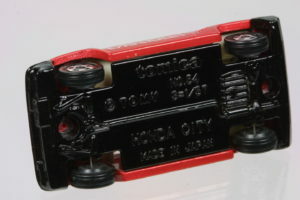 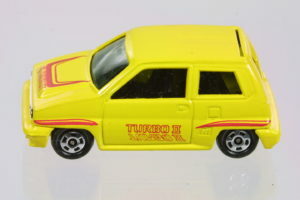 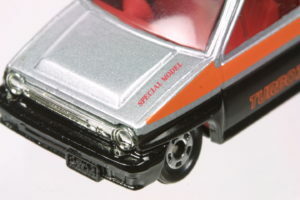 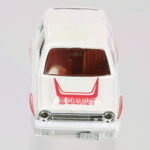 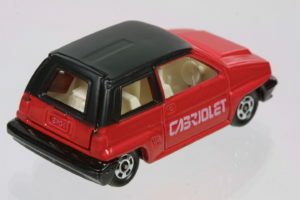 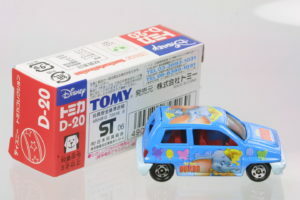 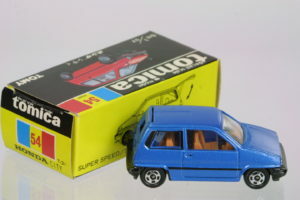 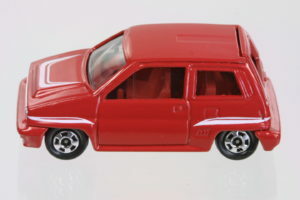 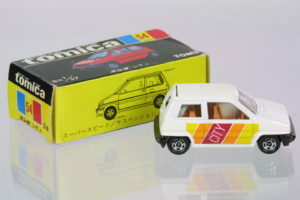 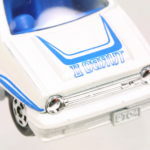 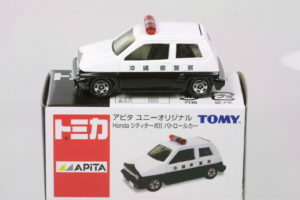 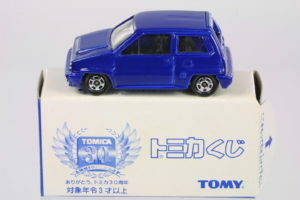 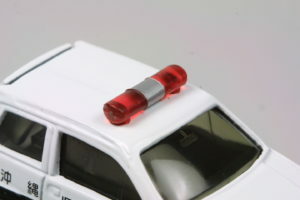 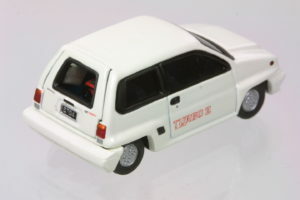 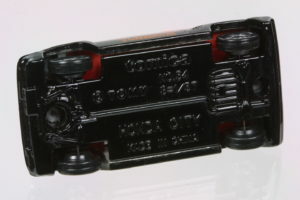 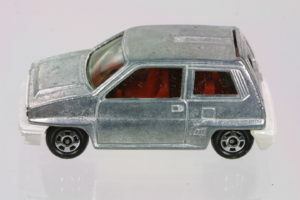 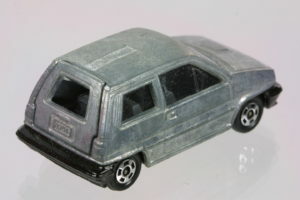 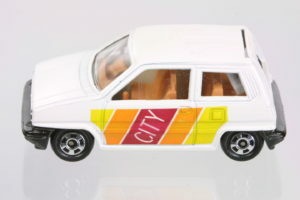 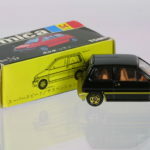 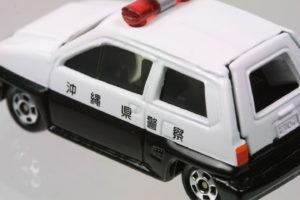 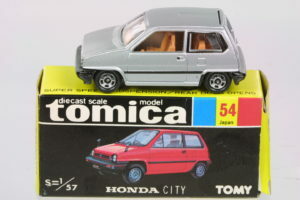 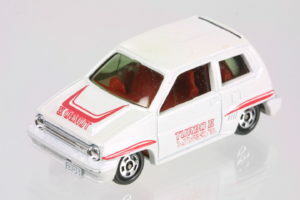 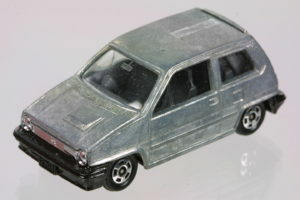 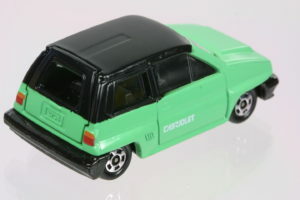 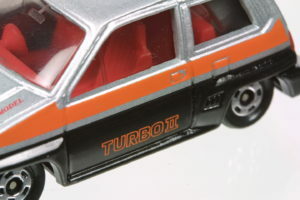 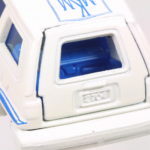 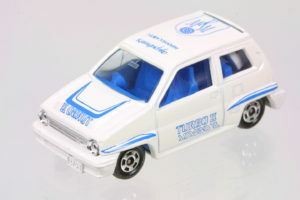 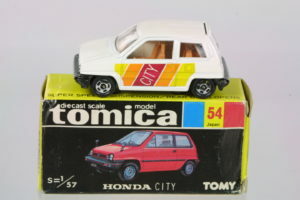 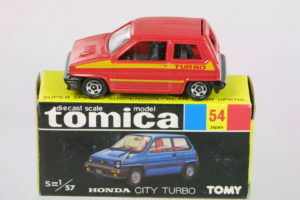 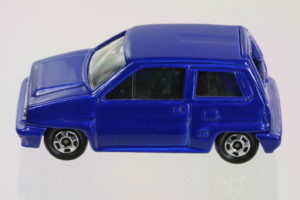 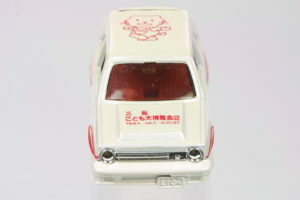 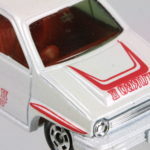 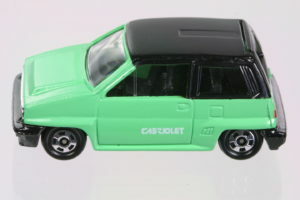 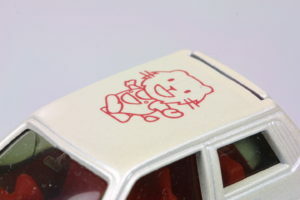 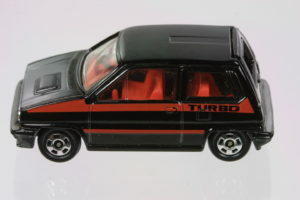 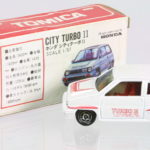 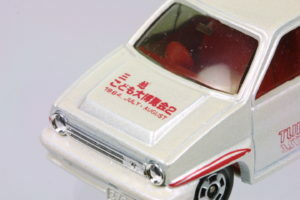 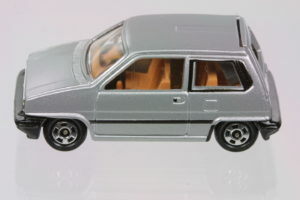 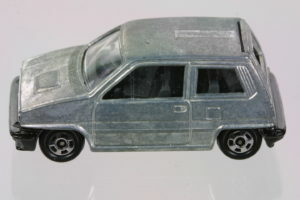 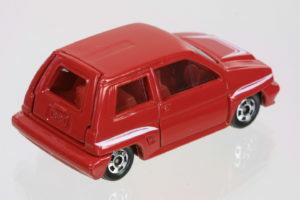 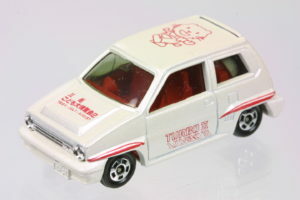 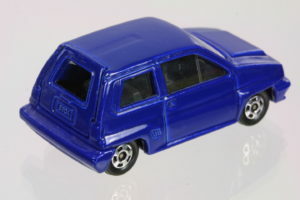 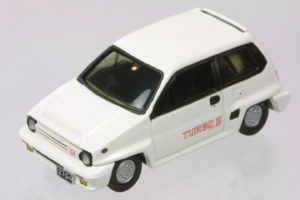 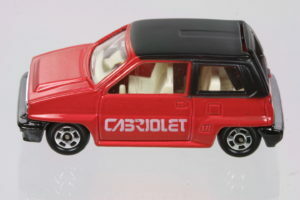 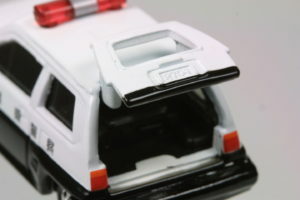 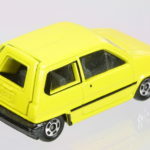 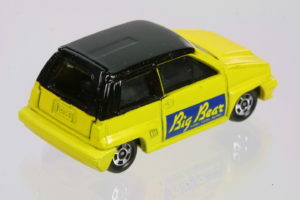 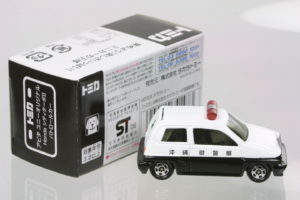 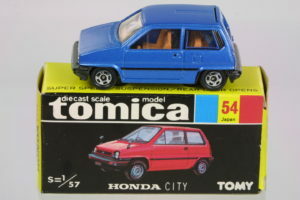 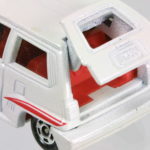 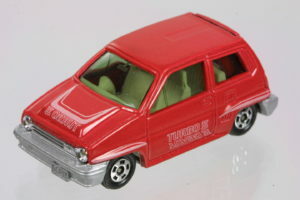 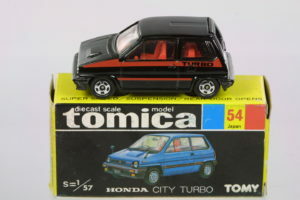 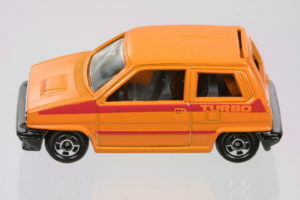 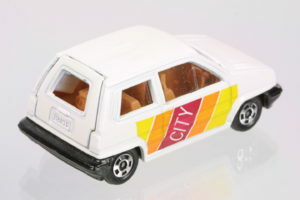 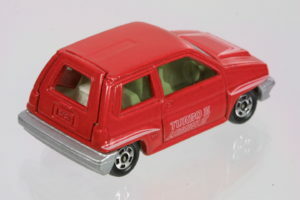 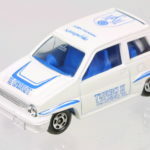 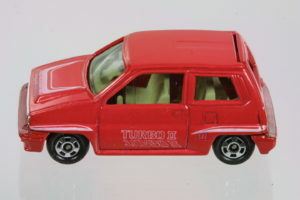 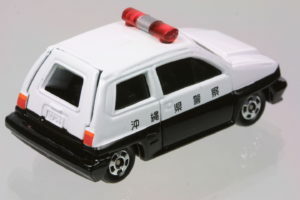 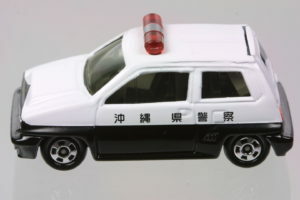 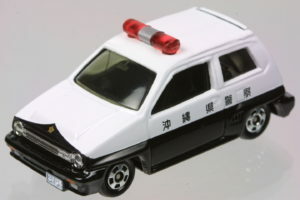 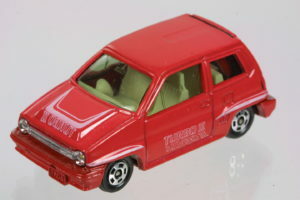 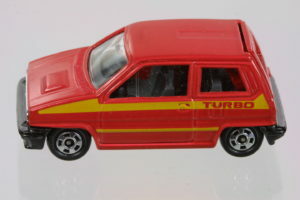 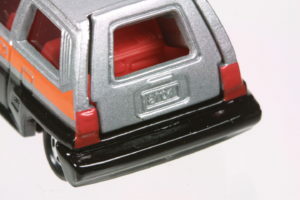 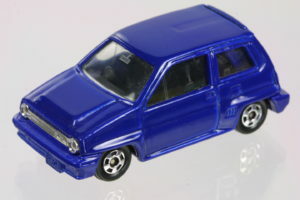 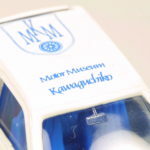 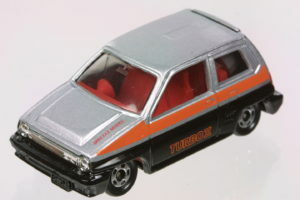 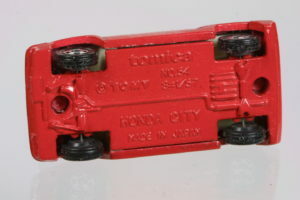 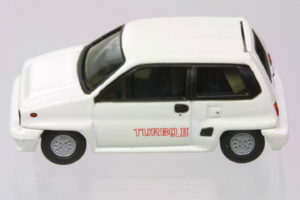 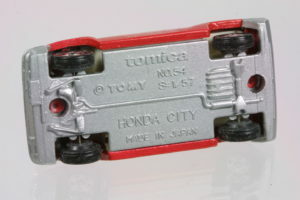 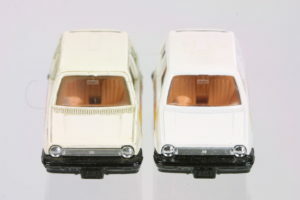 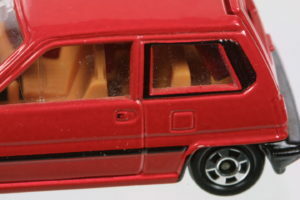 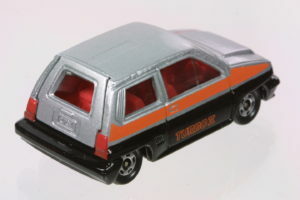 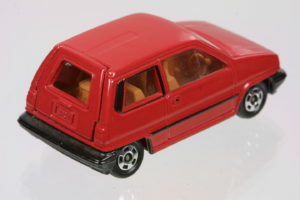 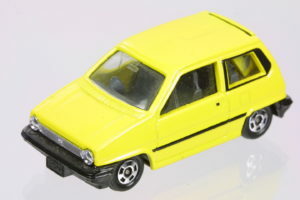 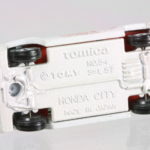 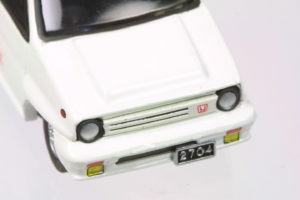 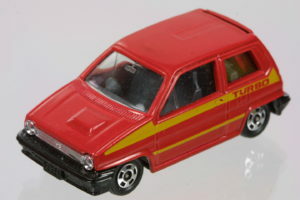 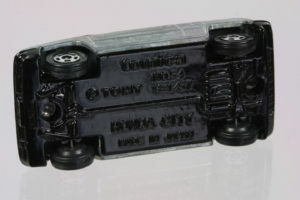 The City first appeared in the Tomica lineup as the regular City, then eventually in Turbo and Turbo II forms. 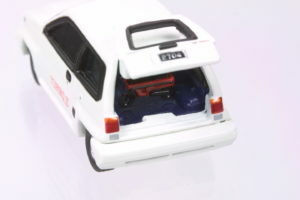 The interior include a casted Motocompo – a motorized scooter that was an option. 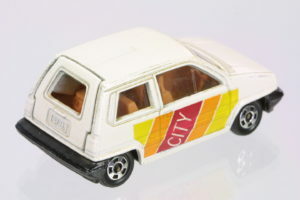 A off-white City with orange and red markings. 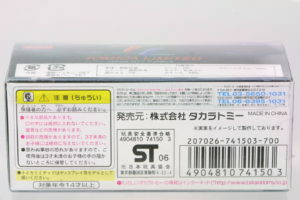 (Made in Japan) Is this a variation or an aged white? 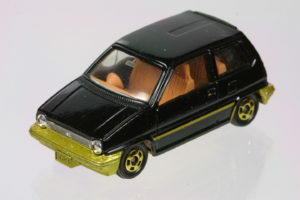 Black with gold tampos and base. 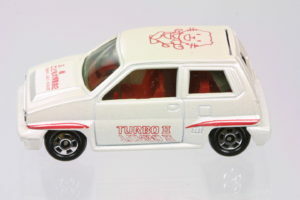 Pearl white City Turbo II with red markings and a pearl white base. 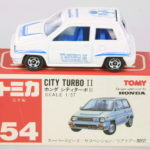 Pearl white City Turbo II with blue markings and a pearl white base. 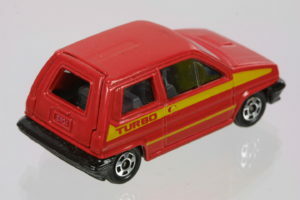 A red Turbo II with white graphics but without the “Turbo II” on the doors. 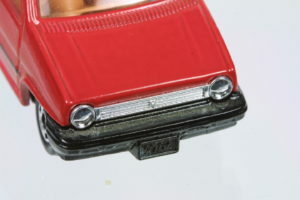 The base plate is red. 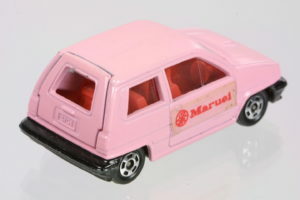 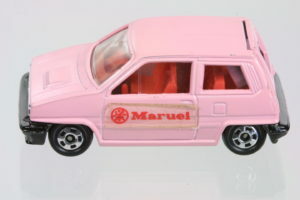 A special edition “Maruei” City Turbo in pink with a black base and “Maruei” decals on the doors. 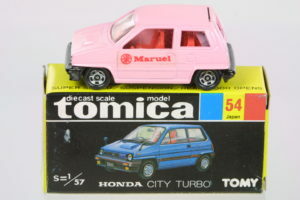 A Honda edition City “cabriolet look” in pink with small “Cabriolet” tampoed on the side. 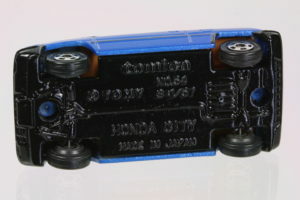 A Honda issue dark blue City Turbo II from Honda Direct Marketing. 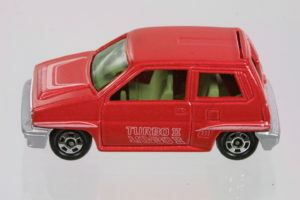 A red Turbo II with white markings and a red base. 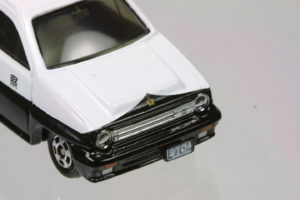 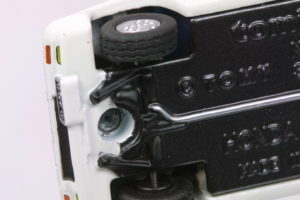 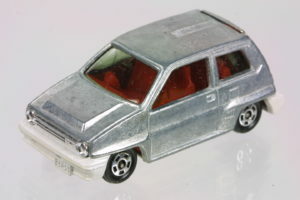 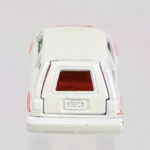 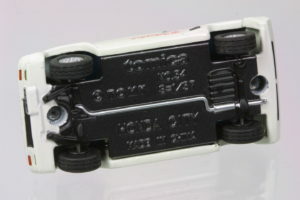 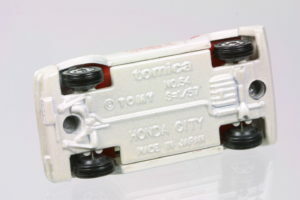 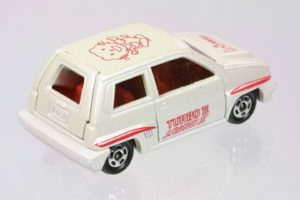 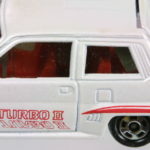 Way before Hot Wheels issued Zamac versions from the factory, Tomica released a rare bare metal City Turbo II with a pearl white base. 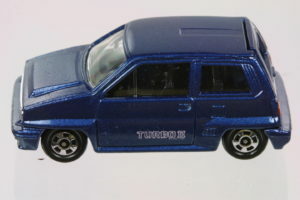 A dark blue City Turbo II from a 30th Anniversary lottery box. 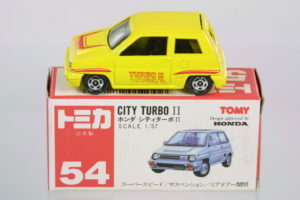 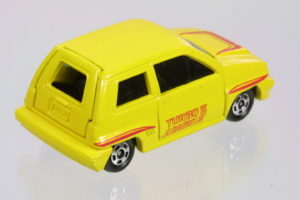 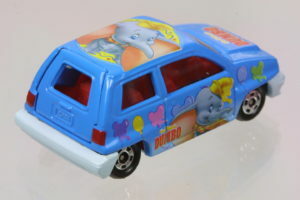 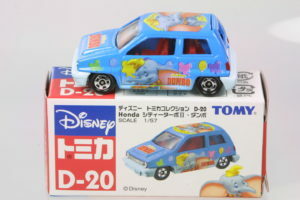 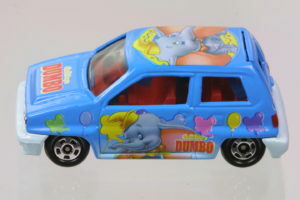 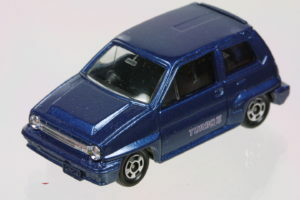 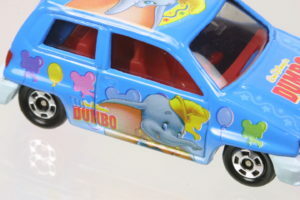 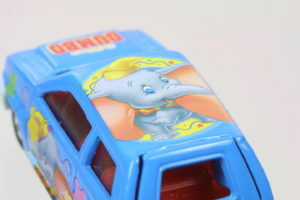 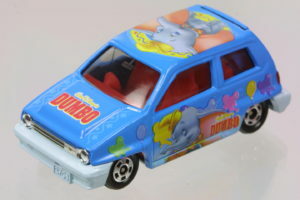 A Tomy Limited version of the City Turbo II with quite a bit more detail in tampo, pant and wheels. 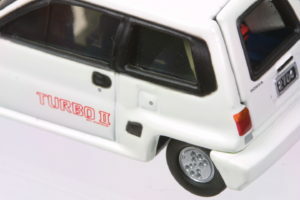 Rubber tires included!